NEW JERSEY (WABC) -- An Amber Alert has been cancelled after a 4-year-old girl and her father were located in Gloucester County, New Jersey. 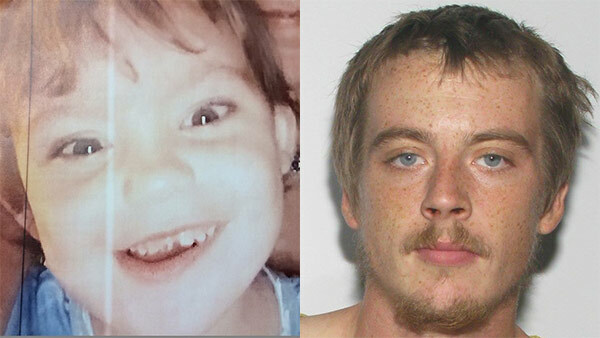 Dylan Richardson turned himself in to police with his daughter, 4-year-old Annabelle Doretha Hope Richardson, in Monroe Township. The girl is safe. Virginia State Police issued an Amber Alert for the girl Nov. 9th after she was believed to have been abducted by her father. Arrest warrants were issued in Virginia for Richardson and the girl's grandmother, Jacqueline McKenna. A concerned person saw the Amber Alert and convinced Dylan Richardson to turn himself in, police say. On Tuesday just after 5 a.m., Richardson brought Annabelle in to Monroe Township police headquarters and surrendered. The girl appeared in good health and unaware of the incident, according to police. At about 8:30 a.m., Jacqueline McKenna was apprehended in Glassboro, NJ. She and Richardson are being charged as fugitives from justice and are awaiting extradition. Annabelle is being temporarily placed with family members in New Jersey. Dylan Richardson is described by The National Center for Missing & Exploited Children as her non-custodial father.